Despite a dip in revenues, the operator believes its strategy for the non-voice segment is successful with segment-wide revenues contributing about 34.5% of total quarterly revenues, highest in the industry. Sistema Shyam TeleServices Ltd. (SSTL), which operates its telecom services under the MTS brand in India, today released its consolidated financial results for the third quarter ending September 30, 2013. Despite SSTL's overall revenues dipped, the operator seemed to be positive on its recent efforts in the non-voice segment. The company also had encouraging results in terms of average revenue per user (ARPU). 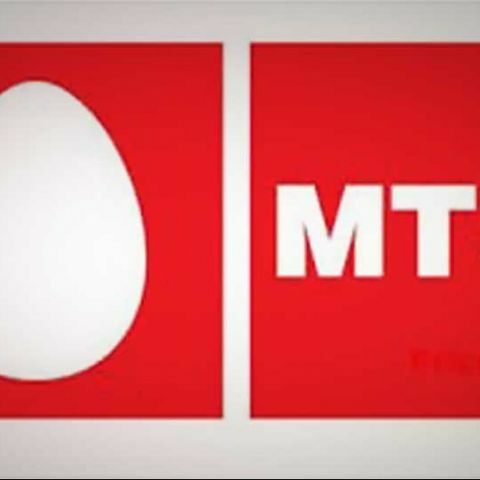 Breaking down, MTS' overall revenues dipped in Q3 2013 by 30% year-on-year to Rs. 2,844 million, the operator saw a growth in the voice segment with its ARPU for the quarter increased by 6.8% to Rs. 95, while the minutes of usage increased by 11% to 363 during the quarter. Non-voice revenues from both data and mobile VAS for the quarter declined by 2.2% to Rs. 979 million. However, the company says its strategy for the non-voice vertical is delivering positive results. 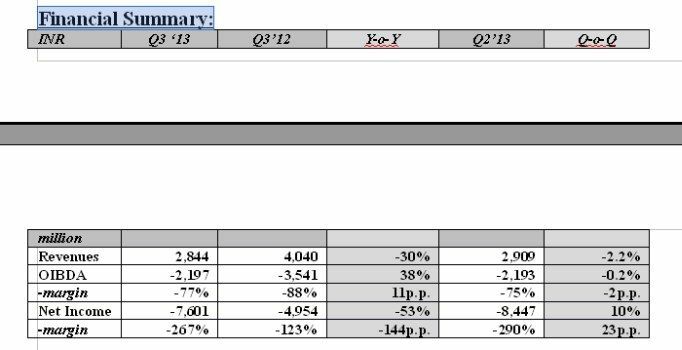 SSTL points out its non-voice revenues contributed about 34.5% of total quarterly revenues, the highest in the industry. Its data card subscriber base for the quarter increased by 4.5% to 1.21 million subscribers. It's notable most of the telecom operators including the likes of Aircel and Vodafone have increased their focus on the data segment. Vodafone's revenues from data saw a 76.5 percent year on year growth at Rs. 15,419 million, while browsing revenue now account for 9.0 percent of revenues. SSTL, which is hit hard by closure of circles, aims to compete with the telecom giants with its new 3G Plus network ( EV-DO Rev.B Phase II or next-gen CDMA network). The company has already launched the MBlaze Ultra dongle, which is rated to deliver speeds of upto 9.8Mbps – taking on the incumbent 3G players. Besides dongle, the SSTL plans to launch a slew of smartphones, including dual-SIM ones, based on the new network. “In Q3 2013, our revenues during the quarter declined slightly due to seasonality, however operating parameters like ARPU, MoU continued to improve. Going forward, with the launch of our 3GPlus network, we expect the Company to come back to its high growth path,” says Sergey Savchenko, Chief Financial Officer of SSTL. Dmitry Shukov, Chief Executive Officer of SSTL, stressed the need for a clear roadmap on 800MHz spectrum. “During the quarter we continued to focus on optimizing our business in line with our medium term target to turn OIBDA positive by end of 2014. On the regulatory front, though 100% FDI in telecom is a welcome move, we expect the government to provide a clear roadmap for the auction of 800 Mhz spectrum. This is a must for proliferation of data services amongst the masses and also for restoring investor confidence,” he said.